For moms, do you really follow what’s listed on the food pyramid, you know the food group guide, when you prepare food for your family? I don’t do that but at least I know what are the nutritious food to give my kids. When I prepare meat, fish and veggie dishes I make sure that it’s their favorite and easy to cook. 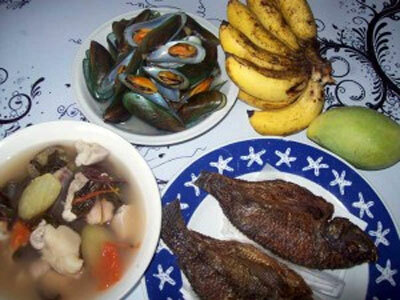 Their favorite dishes lately are Pork Sinigang, fried fish, and mussels. In the US, I’ve read that parents who have problems with their children’s size seek out medical help to address the problem. Some doctors, according to the website, prescribe human growth hormone for children that “appear to be growing more slowly than normal”. I’m not sure if I will allow my kids to take growth hormone. I think it’s best if I will stick to giving them proper nourishment than depend on artificial growth enhancer. This entry was posted in Food and Growth, Healthy food and tagged food guide, food pyramid on October 17, 2015 by Yami.